Work in and on the field of human rights, thanks largely to its intense engagement with various forms of media, has increasingly taken an artistic turn. And contemporary art seems more interested than ever in experimenting with political claims and critiques posed in terms of human rights. 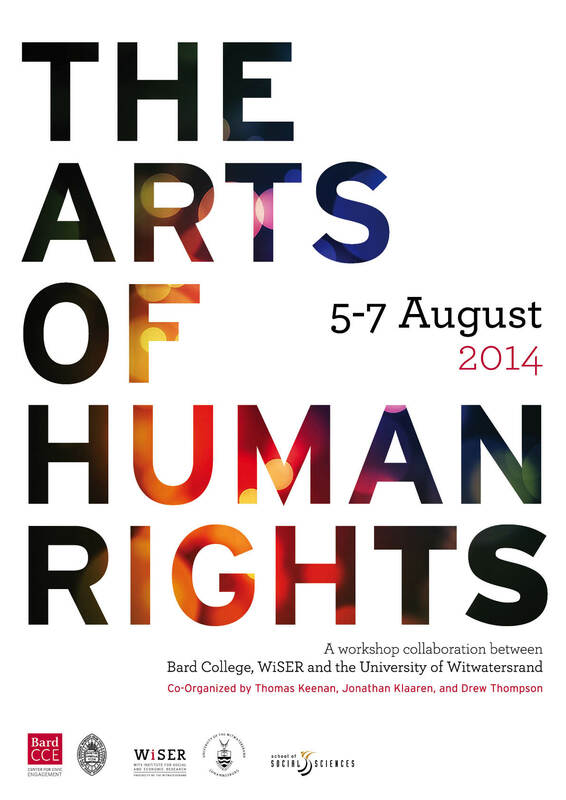 The “Arts of Human Rights” is a two-day workshop collaboration between Bard College and the University of Witwatersrand. At one level, through presentations by curators, practicing artists, legal advocates, and social scientists, we seek to explore the language and discourses of human rights and the arts in ways that identify and interrogate the political spaces, styles of activism, and the force of the arts beyond the rhetoric of legality and problem-solving that currently dominates more traditional forms of human rights discourse. At another level, this collaboration will foster an intellectual community of like-minded colleagues across our institutional networks in an ongoing effort to establish an intellectual platform for future research and teaching exchanges. 6:00 - 7:30 p.m.: Keynote Event: The Art(s) of Forensics: A Cross-Disciplinary Conversation with Thomas Keenan (Bard College), Sarah Nuttall (WiSER), and Zanele Muholi (Inkanyiso Media).